Two light-up cooking surfaces with realistic sizzling and boiling sounds serve up hours of cooking and barbecuing play. 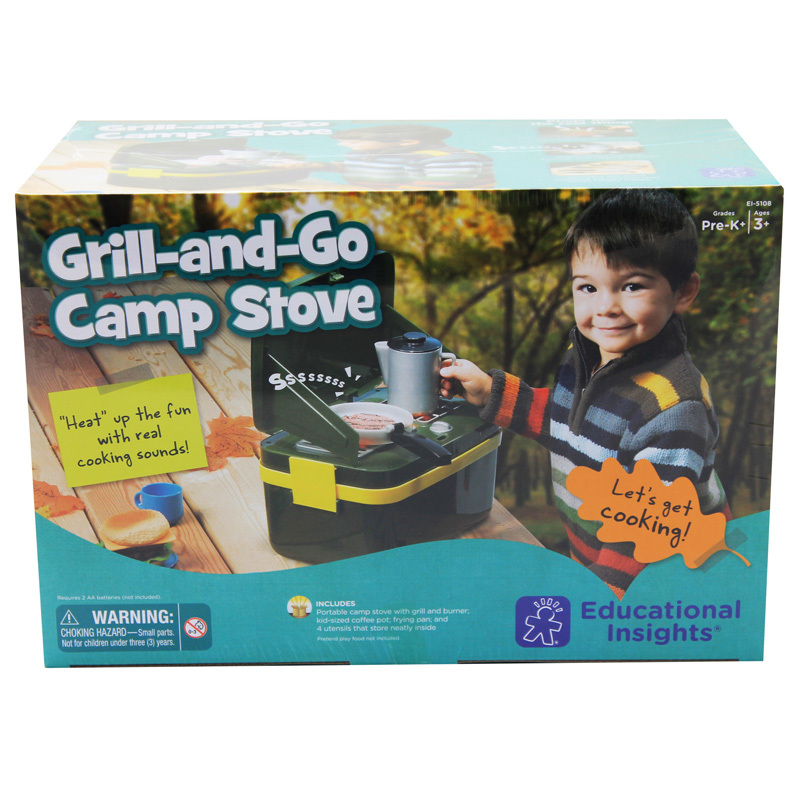 Includes kid-sized coffee pot, pan, and four utensils. All store neatly inside the sturdy, carry-along case! Requires two AA batteries (not included).